Just curious why no one is mentioning the screen brightness for this device. Inside it’s fine but as soon as you go outside you can’t see a thing, with the brightness turned to 100 percent. Figured out my problem. Had the reduced white point on, it basically adds a tint to your phone. With this turned off, phone looks great at 100 percent brightness while in the sunlight. iPhone’s display can’t go as bright as Samsung’s in terms of nits. I can see the screen just fine outdoors. 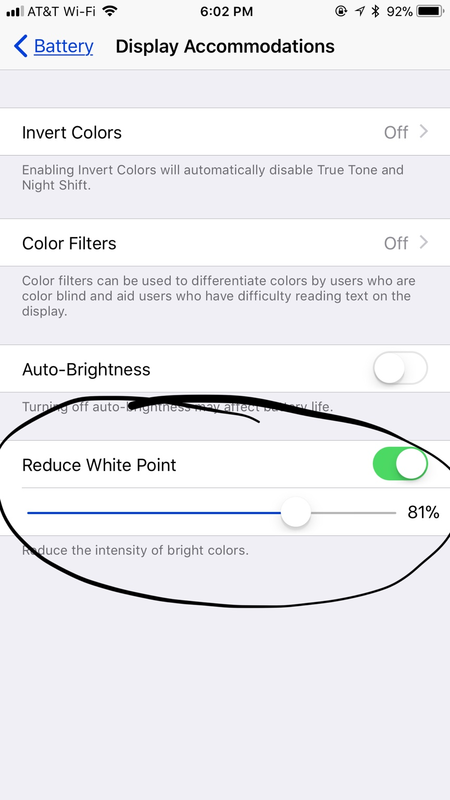 I have Reduce White point on as well as night shift, and I see outside ok if I turn brightness up a lot. Depends on the suns location. I've always had to turn brightness way up outside on all my iPhones, especially in the sun. Inside, I keep it at about 30% brightness.